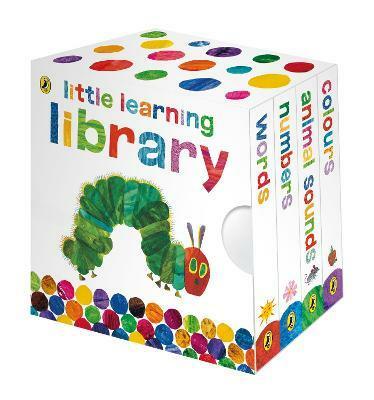 The perfect little learning library using artwork from Eric Carle's classic, The Very Hungry Caterpillar. Introducing first concepts to toddlers, this wonderful board book collection makes a perfect first library. Each book is filled with Eric Carle's much-loved collage art and large, simple text. Ideal for little hands to hold, the sturdy board book pages are durable enough to withstand the rough and tumble of toddlers. Preschoolers will love learning with The Very Hungry Caterpillar!